President Lincoln's Cottage is the most significant historic site directly associated with Lincoln's presidency aside from the White House. Located on an uplifting hilltop in Northwest Washington, D.C., the Cottage is where Lincoln lived for over a quarter of his presidency and made some of his most critical decisions. During the Civil War, the Lincolns chose to move their family from the White House to the Cottage three summers in a row, in the midst of a war that threatened the country they held so dear. While in residence at the Cottage, Lincoln visited with wounded soldiers, spent time with self-emancipated men, women and children, and developed the Emancipation Proclamation. His experience of being surrounded by the human cost of war here undoubtedly impacted his thinking and strengthened his resolve to challenge the status quo. 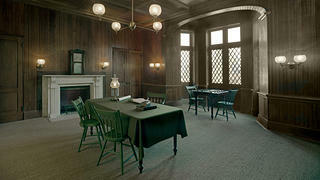 Today, the site offers an intimate, never before seen view of Abraham Lincoln’s presidency and private life, and new perspectives on the influential ideas Lincoln developed while living there. 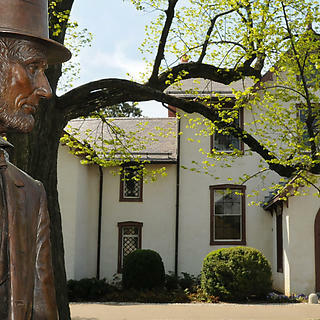 Through multimedia-enhanced guided tours, innovative programs, and award-winning exhibits, visitors experience an authentic, tangible connection to Lincoln’s legacy in this historic setting. President Lincoln’s Cottage is leased by the National Trust for Historic Preservation and operated by President Lincoln’s Cottage at the Soldiers’ Home. 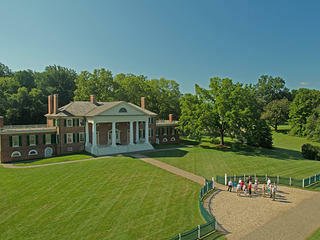 President Lincoln's Cottage is also a member of the National Trust's Distinctive Destinations program. National Trust individual members receive 20% off one adult ticket. All other National Trust members receive 20% off two adult tickets. 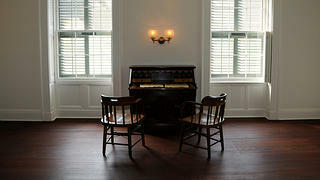 Reproduction of the desk that President Lincoln brought from the White House to the Cottage when he and his family lived during the summer months of his presidency. 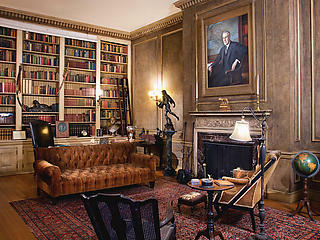 In President Lincoln's library, visitors learn about the documents and books Lincoln read while staying at this summer retreat during his presidency. 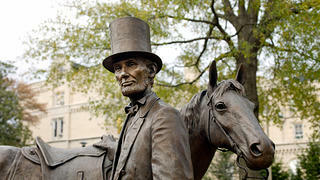 The life-size bronze statue of President Lincoln and his horse highlights Lincoln’s daily commute from the Cottage to the White House. 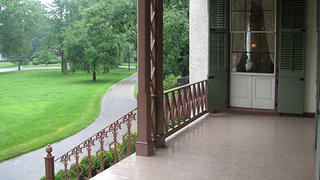 The veranda was often used by the Lincolns to take in the cool breezes that could not be felt in the hot and humid downtown Washington. Twenty percent discount on regular public tours: one adult for Individual Members; two adults and all children under 18 years of age in the immediate family for Family Membership and above.To receive discount, valid membership card must be presented at time of visit. Please contact site directly to ensure that discount is available on date of planned visit and for specific tour desired.